Start and Finish: Entrance to Midlothian Ski Centre. The number 4 Lothian Bus comes out here. The Steading is an excellent pub to round off your trip, or you can carry on back over the bypass to Craigdon Mountain Sports, which has an upstairs cafe with views of the route you’ll have just completed. It is possible to vary the route and do it in two parts. Description: This route is based on the Pentlands Skyline race that is run every October by Carnethy Hill Running Club. 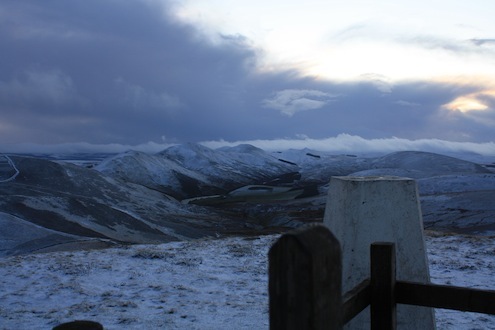 A long hillwalking route taking in the tops on both sides of the horseshoe of hills in the Northern Pentlands. A good training route for multi-day treks. The total distance is and the ascent and descent are around 17 miles and over 6000 ft (25 km and 2000 m). 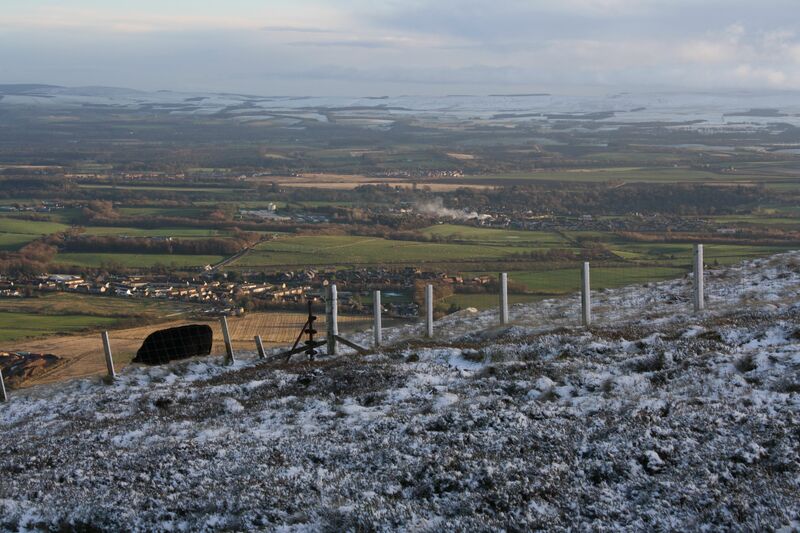 The round can be started and ended at different access points but the classic route starts and ends at Hillend. It is also possible to alter timings to allow for a night on the hill in a bivvy.